The Cancer Drugs Fund (CDF) was established in 2010 to improve access to treatments not routinely available. Having widely overspent, stricter budgeting rules were introduced in 2016. The CDF can now only include treatments with potential to be cost effective once sufficient data are collected. Our objective was to explore the process and criteria used for consideration of treatments under the new CDF framework and to describe the extent of evidence collection. We identified CDF list, UK National Institute for Health and Care Excellence (NICE) and Scottish Medicines Consortium documents (10 May 2018). Data were collected on drugs and indications, reasons for inclusion in the CDF, data collection, incremental cost-effectiveness ratios (ICERs), and corresponding recommendations for Scotland. In total, 12 drugs were listed on the CDF in 17 indications, 12 of which were considered end-of-life care. The most common cancers were non-small-cell lung (n = 4), urothelial (n = 3), lymphocytic leukaemia (n = 2) and multiple myeloma (n = 2). The companies’ ICERs were generally lower than those from the committee and the evidence review group. Drugs were included in the CDF for 6–42 months, with the majority included for ≥18 months. Data were frequently collected on overall survival (n = 16) and progression-free survival (n = 5) using NHS systems and, frequently, ongoing trials. Data collection frequently included overall survival and exceeded the 2 years recommended in the CDF strategy. It appears the CDF is allowing patients access to drugs long before they may become available for routine use. Our results are limited by the availability of published information and the small dataset. The online version of this article ( https://doi.org/10.1007/s40273-019-00793-6) contains supplementary material, which is available to authorized users. The authors thank Arianna Gentilini and Marta Giulia Viola for comments on the data synthesis. CSG, KM and AD designed the study, CSG carried out and KM checked the accuracy of identification of relevant cases and data collection, CSG, KM and AD undertook the synthesis and interpretation of the data. CSG and KM drafted the manuscript and all authors approved the final version. C. Sabry-Grant, K. Malottki and A. Diamantopoulos have no conflicts of interest that are directly relevant to the content of this article. International Agency for Research on Cancer, World Health Organisation. Globocan 2018: United Kingdom Factsheet. 2018. http://gco.iarc.fr/today/data/factsheets/populations/826-united-kingdom-fact-sheets.pdf. Accessed 5 Dec 2018. Cancer Research UK. Cancer in the UK 2018. 2018. https://www.cancerresearchuk.org/sites/default/files/state_of_the_nation_apr_2018_v2_0.pdf. Accessed 22 Aug 2018. House of Commons Committee of Public Accounts. Cancer drugs fund twentieth report of session 2015-16. 2016. https://publications.parliament.uk/pa/cm201516/cmselect/cmpubacc/583/583.pdf. Accessed 22 Aug 2018. NHS England. Consultation on proposals for a new cancer drugs fund (CDF) operating model from April 2016. 2015. https://www.engage.england.nhs.uk/consultation/cdf-consultation/supporting_documents/cdfconsultationdoc.pdf. Accessed 22 Aug 2018. NHS England. Appraisal and funding of cancer drugs from July 2016 (including the new Cancer Drugs Fund) - A new deal for patients, taxpayers and industry. 2016. https://www.england.nhs.uk/wp-content/uploads/2013/04/cdf-sop.pdf. Accessed 23 Aug 2018. The Parliamentary Office of Science and Technology. 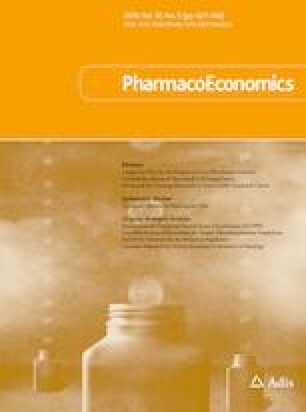 Value based assessment of drugs. 2015. http://researchbriefings.files.parliament.uk/documents/POST-PN-487/POST-PN-487.pdf. Accessed 17 Dec 2018. National Audit Office: Investigation into the Cancer Drugs Fund. 2015. https://www.nao.org.uk/report/investigation-into-the-cancer-drugs-fund/. Accessed 22 Aug 2018. NHS England. National Cancer Drugs Fund List ver 1.81. 2018. https://www.england.nhs.uk/wp-content/uploads/2017/04/national-cdf-list-v1.81.pdf. Accessed 10 May 2018. NICE. Guidance and advice list. 2018. https://www.nice.org.uk/guidance/published?type=ta. Accessed 10 May 2018. SMC. Medicines advice. 2018. https://www.scottishmedicines.org.uk/medicines-advice/. Accessed 10 May 2018. U.S. National Library of Medicine. ClinicalTrials.gov database. 2018. https://clinicaltrials.gov/ct2/home. Accessed 29 Nov 2018. NICE. Single Technology Appraisal - Venetoclax for treating chronic lymphocytic leukaemia [ID944]. 2017. https://www.nice.org.uk/guidance/ta487/documents/committee-papers. Accessed 4 June 2018. NICE. Final appraisal determination - Pembrolizumab for untreated PD-L1-positive metastatic non-small-cell lung cancer. 2017. https://www.nice.org.uk/guidance/ta447/documents/final-appraisal-determination-document. Accessed 31 May 2018. NICE. Final Appraisal Determination - Ibrutinib for treating Waldenstrom’s macroglobulinaemia. 2017. https://www.nice.org.uk/guidance/ta491/documents/final-appraisal-determination-document. Accessed 23 May 2018. NICE. Final appraisal determination - Osimertinib for treating locally advanced or metastatic EGFR T790M mutation-positive non-small-cell lung cancer. 2016. https://www.nice.org.uk/guidance/ta416/documents/final-appraisal-determination-document. Accessed 30 May 2018. NICE. Single Technology Appraisal - Avelumab for treating metastatic merkel cell carcinoma [ID1102]. 2017. https://www.nice.org.uk/guidance/ta517/documents/committee-papers. Accessed 11 May 2018. NICE. Single Technology Appraisal - Ixazomib citrate for treating relapsed or refractory multiple myeloma [ID807]. 2017. https://www.nice.org.uk/guidance/ta505/documents/committee-papers-2. Accessed 24 May 2018. NICE. Single Technology Appraisal - Olaratumab in combination with doxorubicin for treating advanced soft tissue sarcoma. 2017. https://www.nice.org.uk/guidance/ta465/documents/committee-papers-2. Accessed 30 May 2018. NICE. Single Technology Appraisal - Osimertinib for treating metastatic EGFR and T790M mutation-positive non-small-cell lung cancer [ID874]. 2016. https://www.nice.org.uk/guidance/ta416/documents/committee-papers. Accessed 30 May 2018. NICE. Guide to the processes of technology appraisal. 2014. https://www.nice.org.uk/process/pmg19/resources/guide-to-the-processes-of-technology-appraisal-pdf-72286663351237. Accessed 5 Dec 2018. NICE. Appraising life-extending, end of life treatments. 2009. https://www.nice.org.uk/guidance/gid-tag387/documents/appraising-life-extending-end-of-life-treatments-paper2. Accessed 30 Nov 2018. Orphanet. The portal for rare diseases and orphan drugs. https://www.orpha.net/consor/cgi-bin/index.php?lng=EN. Accessed 10 Dec 2018. SMC. Process for end of life and very rare conditions (orphan and ultra-orphan medicines). 2016. https://www.scottishmedicines.org.uk/media/2782/pace-overview-document.pdf. Accessed 5 Mar 2018. NICE. Single Technology Appraisal - Nivolumab for previously treated locally advanced or metastatic nonsquamous non-small-cell lung cancer [ID900]. 2017. https://www.nice.org.uk/guidance/ta484/documents/committee-papers-6. Accessed 25 May 2018. NICE. Single Technology Appraisal - Nivolumab for previously treated locally advanced or metastatic squamous non-small-cell lung cancer. 2015. https://www.nice.org.uk/guidance/ta483/documents/committee-papers. Accessed 25 June 2018. NICE. Single Technology Appraisal - Pembrolizumab for untreated PD-L1 positive metastatic non-small-cell lung cancer [ID990]. 2018. https://www.nice.org.uk/guidance/ta447/documents/committee-papers. Accessed 31 May 2018. NICE. Single Technology Appraisal - Atezolizumab for treating metastatic urothelial bladder cancer after platinum based chemotherapy [ID939]. 2017. https://www.nice.org.uk/guidance/ta525/documents/committee-papers. Accessed 17 May 2018. NICE. Single Technology Appraisal - Pembrolizumab for previously treated advanced or metastatic urothelial cancer. 2017. https://www.nice.org.uk/guidance/ta519/documents/committee-papers. Accessed 31 May 2018. NICE. Single Technology Appraisal - Pembrolizumab for locally advanced or metastatic urothelial cancer where cisplatin is unsuitable [ID1209]. 2018. https://www.nice.org.uk/guidance/ta522/documents/committee-papers. Accessed 1 June 2018. NICE. Single Technology Appraisal - Daratumumab monotherapy for treating relapsed and refractory multiple myeloma [ID933]. 2018. https://www.nice.org.uk/guidance/ta510/documents/committee-papers. Accessed 22 May 2018. NICE. Single Technology Appraisal - Brentuximab vedotin for treating CD30-positive Hodgkin’s lymphoma. 2018. https://www.nice.org.uk/guidance/ta446/documents/committee-papers. Accessed 18 May 2018. NICE. Single Technology Appraisal - Ibrutinib for treating Waldenstrom’s macroglobulinaemia [ID884]. 2017. https://www.nice.org.uk/guidance/ta491/documents/committee-papers-4. Accessed 23 May 2018. NICE. Single Technology Appraisal - Nivolumab for treating recurrent or metastatic squamous-cell carcinoma of the head and neck after platinum-based chemotherapy. 2017. https://www.nice.org.uk/guidance/ta490/documents/committee-papers-2. Accessed 29 May 2018. NICE. Single Technology Appraisal - Obinutuzumab for untreated advanced follicular lymphoma [ID1020]. 2018. https://www.nice.org.uk/guidance/ta513/documents/committee-papers-2. Accessed 29 May 2018.